They are indeed. 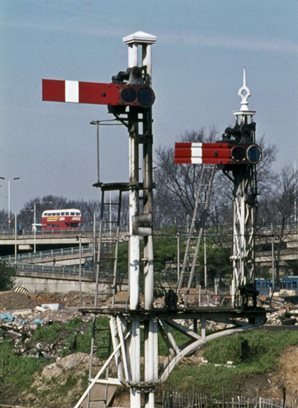 The first was entitled by Peter 'M4 Junction 2 railway signals', taken 10th April 1973. 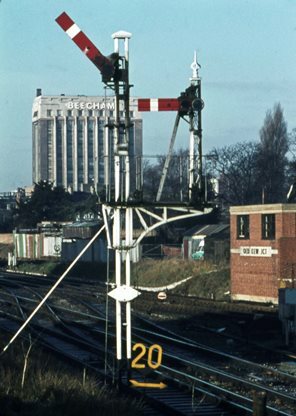 The second has the Beecham Building in the background and Kew Old Junction right foreground, 3rd March 1974. 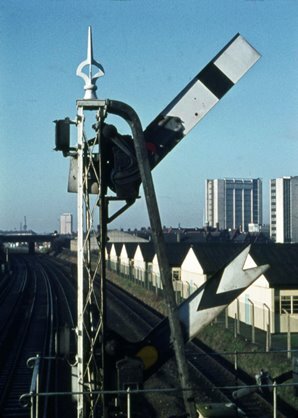 Third, from 3rd February 1974, shows the railway line with a factory alongside and three tower blocks - perhaps someone can name these, if so please get in touch. If you like the above the following may appeal: Colin Carter's view of the M4 under construction, around 1964, with the Beecham Building in the background; also Peter's M4 viaduct looking east, 1973.